Published on 15 December 2012. How insulting is this Argos campaign?! 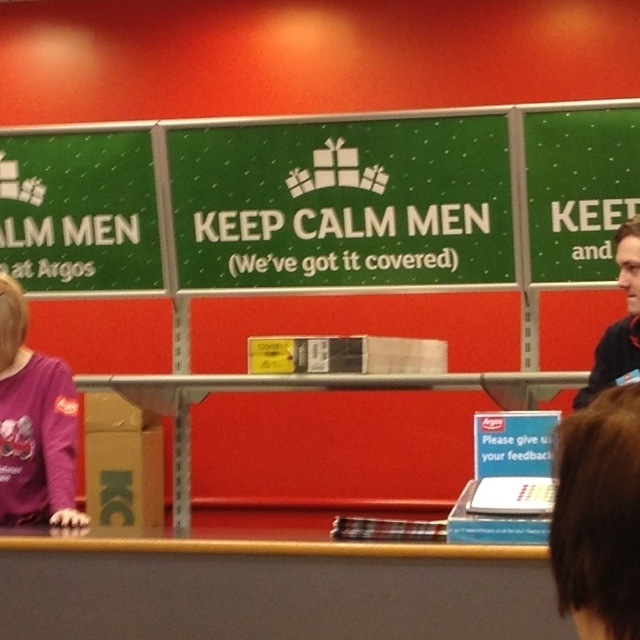 In the spirit of equality, I look forward to next year’s “Keep Calm Women” follow-up. I assume it will perpetuate a ditzy, dim, over-excitable, self-obsessed stereotype of women that’s as insulting as the lazy, dunderheaded, disorganised, misogynist stereotype of men perpetuated this year by retailers like Argos and Asda. But I like to think that they will see sense and reflect the reality of 21st century life in the UK. After all, isn’t this the season of hope? This 1,931st post was filed under: Photo-a-day 2012, Retail.